As I write this I am fully immersed in the 2015 great white shark season down in Cape Town, South Africa. For the past 4 years I have been joining world-renowned shark expert and photographer, Chris Fallows and his crew onboard “White Pointer II” working with the wildlife found here daily. It is such a rich and diverse location for both white sharks and other marine life and coming and seeing the varying differences from Guadalupe gives me such a unique insight into the different behaviors of these super predators found in other parts of the world. Seal Island in False bay (approx. 7 miles out of Simons Town) is arguably the most famous place in the world to see great white sharks due to the highly documented “breaching” behavior found here. If you have watched shark week enough times, you will have seen this place! Great white sharks have been jumping here for years however it was Chris Fallows and Rob Lawrence who really put the place on the map in the mid to late 90s. Since then a host of film productions have been made here, most famously the “Air Jaws” series, which is still running, and today there are now 3 highly successful operators working in the area. The season here typically runs from late February to late September with peak season being late June till late August. The sharks visit Seal Island for one reason, to feed. The Island is home to 65,000 cape fur seals, which the sharks are targeting, in particular, the newly born and inexperienced pups. Activity at the Island is at its highest in the depths of winter, this is the time that the sharks really begin to come alive and natural predations between shark and seal can be seen almost every morning. How do shark sizes compare with those in Guadalupe? The sharks found here are typically smaller than our sharks at Guadalupe (ranging from around 8ft – 13ft) but they definitely make up for this in their behavior! These sharks are in feeding mode and are highly active both at the boat and in their natural setting. To see the varying differences in behavior is fascinating for me and I will be writing a further blog specifically on this as the season progresses. I will also be writing diary entries throughout the season as to summarize this place up in one blog is just simply impossible! A huge industry - busy every day! Running two trips per day, seven days a week (as long as the weather is good) means that the appetite for sharks is as strong today for people as it ever has been and even though the trips are specifically for great white sharks we often see many species of marine life from literally thousands of common dolphin, many species of whale as well as a vast array of seabirds. I’m here till late August and as I write this I am looking forward to moving into peak season at Seal Island. 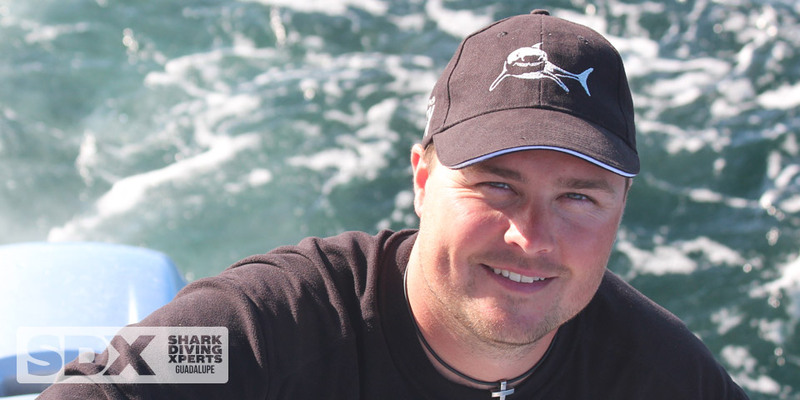 Due back are not only the sharks in full force but also many regular guests and friends plus Discovery Channel will be joining us over a 3-4 week period as well. Once I finish up here at the end of August I will be returning to San Diego as our Guadalupe season will be starting in September and as ever, I cannot wait for that one to begin.